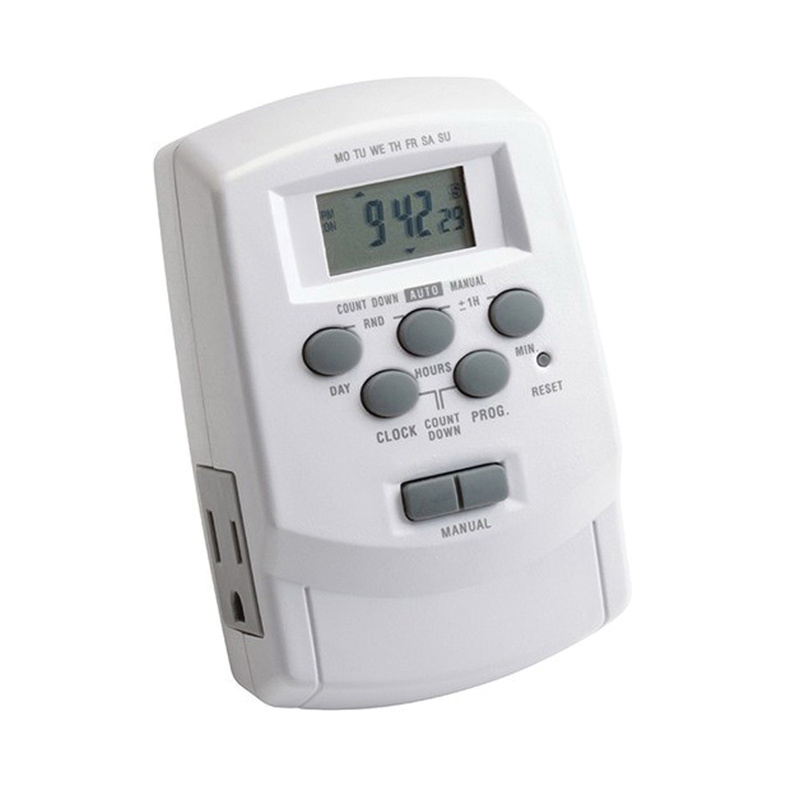 Kichler Digital transformer timer with daylight saving, has voltage rating of 125-Volts at 60-Hz and contact rating of 15-Amps for resistive/tungsten. This timer has a dimension of 2.75-Inch x 2-Inch x 4.5-Inch. It provides auto ON/OFF action and ensures operating cycle of eight per day and 56 per week. This white colored timer has operating temperature rating of -10 to 40 deg C. It is great for use with all plus and professional series transformers. Timer is cETLus listed.